In the short time that accountable care organizations (ACOs) have formally been a part of the healthcare landscape, they have grown to cover more than 32 million patients across every state. To better understand current trends and predict future developments in the accountable care community, the National Association of ACOs (NAACOS) developed a new ACO survey. The following depicts the results from the inaugural 2017 study, which provides insights into the current and future state of the ACO industry. 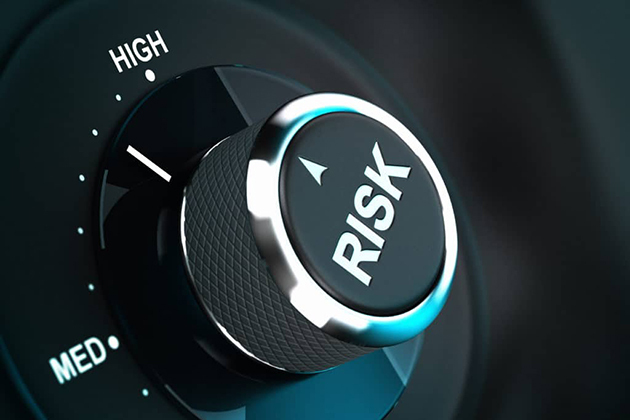 A large number of ACOs are considering or have plans to participate in future risk-based contracts (47 percent planning for shared savings/shared risk and 38 percent planning for capitation), although care management strategies are largely unchanged. Because of this, ACOs are slowly beginning to accept increased financial risk, but "are largely still learning how to actually manage populations." New data suggest ACOs have become more comfortable taking on increased financial risk. Reducing costs and managing population health remain key challenges, however, prompting an investment in add-on technologies like population analytics. Zeroing in on recent developments in the ACO world, the NAACOS and Leavitt Partners surveyed 240 organizations. The results, published on the Health Affairs blog, indicate that ACOs across the board plan to participate in "at-risk arrangements," with nearly half opting for shared savings and losses, and another 38 percent pursuing capitation-based agreements. Additionally, while Medicare ACO contracts tended to be smaller relative to commercial arrangements (approximately 30,000 versus approximately 60,000 lives respectively), Medicare contracts were said to represent the same levels of risk as commercial and Medicaid arrangements. According to the returns, a little more than half of ACOs (53 percent) reported bearing the same levels of financial risk in their commercial and Medicaid contracts as their accountable care contracts with Medicare, and one-quarter (26 percent) reported less commercial and Medicaid risk, "suggesting that commercial and Medicaid plans are not pushing provider-born risk faster than the Centers for Medicare and Medicaid Services (CMS)." Nearly 90 percent of ACO respondents said they also had at least one upside-only shared savings contract, and 50 percent of respondents had at least one active contract that included downside risk of either shared savings/shared losses (38 percent) or capitation (12 percent). The report also notes that as the number and sophistication of ACO contracts have increased, ACO providers have pursued alternative value-based payment methodologies in parallel. ACOs appear to have been particularly attracted to the patient-centered medical home model, present in 86 percent of the organizations surveyed. The survey also noted satisfaction with bundled payment models in some areas of care. The respondents said plans for future accountable care contracts include considering participating or having firm plans to participate in at-risk arrangements (47 percent pursuing shared savings/shared losses, and 38 percent pursuing capitation). This is likely because risk could be influenced by factors, including Medicare Shared Savings Program (MSSP) participation requirements. Likewise, ACOs that had been in the program longer had an active shared savings/shared losses contract in place and were also more likely to be considering or planning to participate in a capitated contract. With 50 percent of ACOs offering pharmacy services in-house or through a contracted partner, many are taking on strategies to manage the costs and clinical complications associated with medications. Among the five most commonly implemented population health management activities, two are focused on medication support and oversight. The other most implemented activities are efforts to reduce preventable readmissions and the development of targeted chronic disease management programs. In regard to care coordination, one strategy is consistent for nearly all of them: the use of care coordinators to help manage the population, with 95 percent of ACOs using these staff. Not only have most ACOs prioritized care coordinators, but nearly 90 percent of those surveyed said that care coordinators are very important or extremely important to the success of the ACO. Their technology use includes electronic health records. According to the survey, the average number of EHR platforms used within an ACO network was 13. ACOs also reported wide use of patient portals, although as a simple add-on to the medical record, portals represent the "low-hanging fruit" of health IT products. ACOs reportedly spend an average of $600,000 annually on operating expenses for health IT, and nearly 90 percent said care coordinators are "extremely" or "very important" to their success. Meaningful use requirements have led to high EHR adoption rates among ACO providers, so a significant portion of IT spending is devoted to support tools like population analytics, patient portals and decision support tools. "Everyone wants value-based care, but to do that we need to support, learn and continuously improve," Clif Gaus, president and CEO of NAACOS, said in a release. The report points out that the ACOs have a long way to go in terms of reforming their care-delivery systems, which will be the key to their success as they take on increased financial risk. While ACOs' appetite for risk has increased, the survey suggests they will need support and patience from payers to undertake more radical changes to the way they deliver care.